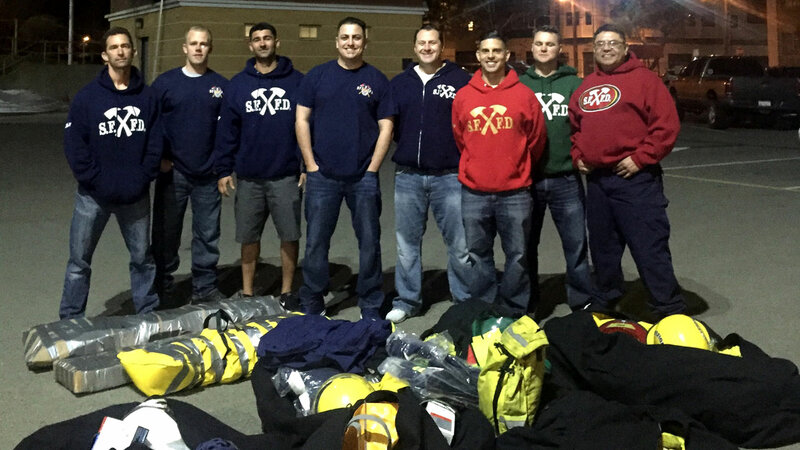 SAN FRANCISCO (KGO) -- Fires know no boundaries and neither do these eight San Francisco Firefighters on their way to Nicaragua. They conduct yearly training in several fire stations in the Northern part of the country. After this one-week visit, their brethren will have learned skills and received equipment to continue to save lives in "Land of Lakes and Volcanoes." Lt. Lester Lesavoy (fourth from left) is the leader and says they pack light for their personal items to be carry-ons so they can use their luggage allotment for a maximum amount of equipment to donate. "We're not passing out leaflets," Lt. Lesavoy states, "we're providing them with something more sustainable, which is the empowerment to help their own people." With two sets of "Jaws of Life" in tow, the SF Bomberos are arriving to build closeness within the greater community of rescuers. This trip was made possible through the financial support of San Francisco Firefighters IAFF Local 798, the San Francisco Fire Department, SF Bomberos, as well as donations from Oakland based L&N Curtis and Sons. If you would like to support their mission, donate at https://www.gofundme.com/sfbomberos.